Supplying the highest quality professional goods and services to the photographic, fine art, gallery and exhibition communities, utilising our combined experience and self-imposed high standards to always give our customers the best service at all times. Chaudigital has grown and developed from 'Danny Chau Photolabs' (est 1983), a black & white professional photographic laboratory based in London's EC1 'Photographic Mile'. Printing for clients such as The (BBC) Hulton Picture Library (now Hulton Getty), The National Gallery, The Royal Family, Open Society Institute, The Guardian Observer Newspaper Group, and renowned photographers such as Humphrey Spender, Bob Carlos Clarke, Sean Smith, Jane Bown, Mike Goldwater, Vibeke Dahl and many others, the company quickly gained a reputation for top quality film processing and printing in the UK's black & white photographic industry. Realising the potential of digital technology, the lab was at the forefront of the then emerging field of digital printing. Utilising the experience developed in computing starting in 1983 and later, digital imaging from 1989, Chau installed one of the UK's first Epson 9000 large format inkjet printers in April 1998 and pioneered on-demand edition giclée prints to clients both in the UK and abroad. 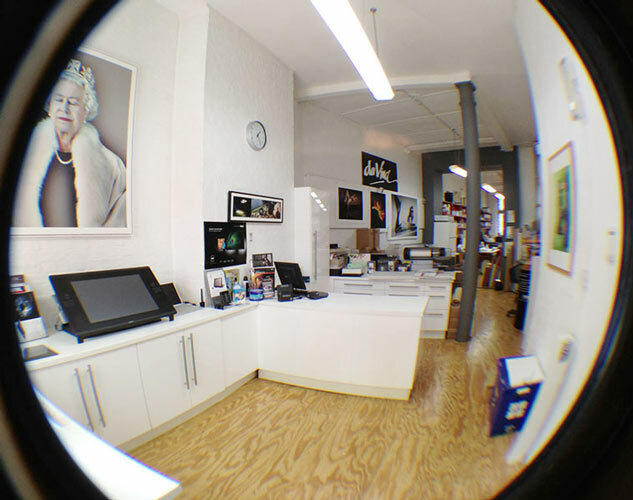 Seeing there was a gap in quality digital imaging suppliers, in 2002 the company changed its name from Danny Chau Photolabs to Chaudigital, to focus on complete high-quality digital imaging solutions for professionals. We then introduced a retail digital imaging website under the name Paperandinks.com to supply end-users with imaging tools, products and services, now absorbed into the Chaudigital.com site. Today it remains a family business, becoming a limited company in January 2007, and continues to provide outstanding products and services for the discerning professional and enthusiast alike. Our clients include Gilbert and George, David Bailey, Keith Tyson, Mike Figgis, Bob Carlos Clarke Estate, Chris Levine, Nadav Kander, David Hockney, Stuart Brisley, Cameron Mackintosh, Pinewood Studios and more. When it comes to providing solutions, our determination to give you a high-quality service and overall pleasant experience means we try, whenever possible, to test the products we sell (though sometimes there are never enough hours in the day!) so that we better understand the quality, reliability, and perhaps any foibles, of the tools you will come to rely on! This is made easier when the products in question are the same ones we use for printing and colour management work for clients. We are a family team with a strong commitment to honest customer service.